This is awesome and appropriate; however, what does that money do? Is it a feel good moment, or is it helping the cause that you wanted to help? Is it a Religious Organization? I’m inherently suspicious of altruistic religious organizations in saving the world: Often their main goal is to convert people to their religious viewpoint. This implies that they think that their religion is better than the religion that they are replacing. My Assessment: harm. Catholic Missions in Africa? Or India? Converting people from Islam or Hinduism is wrong and harmful. I have no problem with people giving to their local churches, just work on limiting proselytizing. I have no problem if your giving to support your own congregants, just be mindful of organizations that are trying to proselytize. Does it help people in the long term? Think of the good work of the United Nation High Commission for Refugees (UNHCR), and then realize that the UNCHR support permanent refugee camps in areas of political conflict. So instead of resettling refugees in a country that would accept them, these refugees are part of a world wide political stalemate. My Assessment: harm. I have no problem with giving money to organizations that help refugees in the short term; however, their goal should be to resettle the refugees not have generations of refugees stay in the same ‘temporary camp’. Does the Organization use local people to work from the ground up? Money spent on ‘solutions’ imposed onto local people by people who ‘know better’ is usually wasted money. See the wasteland of fresh water projects in Africa, including technology solutions like having kids play and pump water. My Assessment: at least wasted money, usually harm. See almost any project in Haiti. Does the organization minimize its impact on Kleptocracies? Most of the developing world is run by oligarchs who find a way to get most of the income of the country into his or her own hands. While organizations usually have to ‘pay to play’, does this leave the people in the country better or worse off? Does the organization create awful incentives? In Liberia, US AIDs support organizations were offering jobs and healthcare to people. In a country with absolutely no healthcare, this provided the perverse incentive to either get AIDs, or tell everyone that you had AIDs (Google AIDs exceptionalism). My Assessment: harm. It would be better for those organizations to work on free healthcare for everyone; I can’t knock the enthusiasm these people have for the problem, but it does have consequences. What’s the criteria for who gets the Aid? In a poor remote village, how does the donor organization decide who gets the Cow or Goat donation? I’m looking at you Heifer Foundation This will clearly help the donor family, but would everyone be helped if that donation were spread across many people in the village? My Assessment: How good are we at playing God? When we bring Western medicine into developing countries does the program do good or harm? Did mass vaccinations in Africa and Asia spread AIDs through re-use of needles? Yes. Was that avoidable? Yes, but with lots of education. My Assessment: Good overall, but complete failure in understanding and educating the worldwide rollout of a great program. What about Western sensibilities? Do we support eliminating female genital mutilation? Empowering Women? Protecting homosexuality from the death sentence? This has a powerful cultural backlash and most be done in ways that work with the prevailing culture and not replace old colonialism with new, politically correct colonialism. Does electrifying remote area of the amazon do more harm than good? Once you’ve given to an organization, how well did that organization do to solve the problem they were raising money for? Most charitable organizations have little or no accountability for explaining what they did with your money. We need to do a better job of asking. Now that I’ve depressed the hell out of you, I still think there are organizations that do good! Yay! And you can help me find more of them! GiveDirectly (https://www.givedirectly.org/) Why have people in the middle? How about giving money directly to poor people in developing countries via their mobile phone? Any charity that Give Well (http://www.givewell.org/) likes! 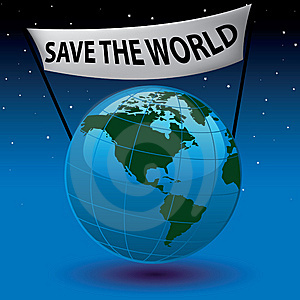 What can the US do and how do I support saving the world at home? Think about what the US does to impact the world negatively and think of solutions that would lessen the impact. Our current ‘War on Drugs’ has enriched both Kleptocracies and gangs in ways that were unimaginable. Imagine if we legalized all drugs and effectively controlled their distribution throughout the US. The amount of money for international gangs would collapse.